This compact projector offers high brightness and lots of helpful features at an affordable price. 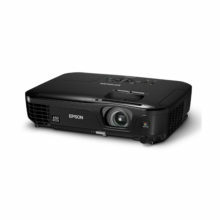 Epson’s versatile projectors harness the latest 3LCD technology to deliver impeccable, high-quality images and sounds. 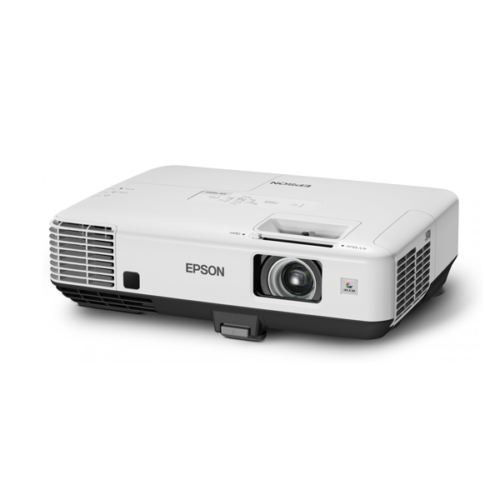 This projector series is packed with all the functions and features you need for powerful office and school presentations. No more fumbling with room switches and drawing of curtains, only to have your audience squint to see the faint screen. 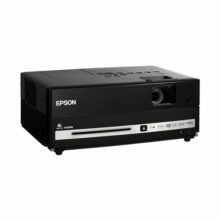 This versatile and compact projector has a high 4000lm brightness, so you no longer have to dim the lights for your audience of 50 to 60 to enjoy crisp, vivid images. With Easy MP Monitor, Epson’s proprietary network monitoring software, you can easily monitor all your projectors and keep them running efficiently, even across the largest networks. Remotely configure and programme email alerts for pre-defined critical indicators such as non-functioning devices or overheating lamps. Now you can send messages or announcements as jpeg files simultaneously to any number of projectors on a network. 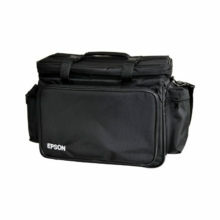 This makes the projector series very useful for immediate communication needs or even emergencies. Epson’s unique Multi-Screen Display feature presents broad spreadsheets or panoramic images. Show four different images at the same time or one single image across the breadth of four screens. The Multi-Screen Display presentation can be controlled via a single computer with just a remote control. Designed to better assist the way you present or teach, this series features a 3-in-1 USB display. This allows control, image and sound transmission from a computer to the projector via a USB cable, eliminating the need for complicated cabling. A built-in speaker also allows you to enjoy powerful sound without the need of connecting a separate speaker. Deliver powerful presentations anywhere in the room. With the easy-to-use sliding Horizontal Keystone Adjuster*, screen corrections can be done quickly, easily and accurately, for both beginners and experienced users. * For EB-1870/1880 only. EB-1860 comes with Horizontal Keystone Button. Achieving perfect images even if the projector is offset from the screen is now possible. Epson’s Quick Corner feature allows you to independently adjust any of the four corners of the projected image that has no parallel sides. With an incredible angle adjustment range, you are assured of impressive presentations from any point in the room. The built-in HDMI terminal* makes transmitting high-quality images and sounds possible. You can even view a jpeg, bmp, png or gif slideshow without a PC by simply inserting a USB memory device into the USB connection on the projector. Operation of the projector is also made convenient by using either the remote control or the operation panel. 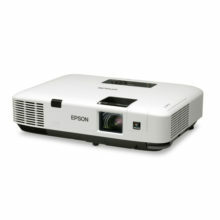 This projector series conveniently connects directly to Epson’s Portable Document Camera ELPDC06 via a USB cable without a computer, revolutionizing the way you present. Simply place the presentation material under the camera and enlarge the projection according to the desired size – perfect for classroom and office discussions. Enjoy greater cost savings and ease of maintenance with Epson’s proprietary long-lasting E-TORL lamp. Designed to optimize light output, the highly efficient Epson E-TORL lamp delivers noticeably brighter images with greater power efficiency. The exhaust is intelligently positioned in the front, preventing anyone from being exposed to the hot exhaust, especially when on a narrow table. This enables the audience seated at the side or back of the projector to fully concentrate on the presentation.